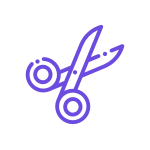 Select tasks to groom, people who will take part in the backlog grooming and questions to ask them. Standuply reaches out to your team members and surveys them asking the questions about the tasks you selected on step #1. You automate backlog grooming once, and the process is up and running. Standuply makes sure your tasks are always up to date. 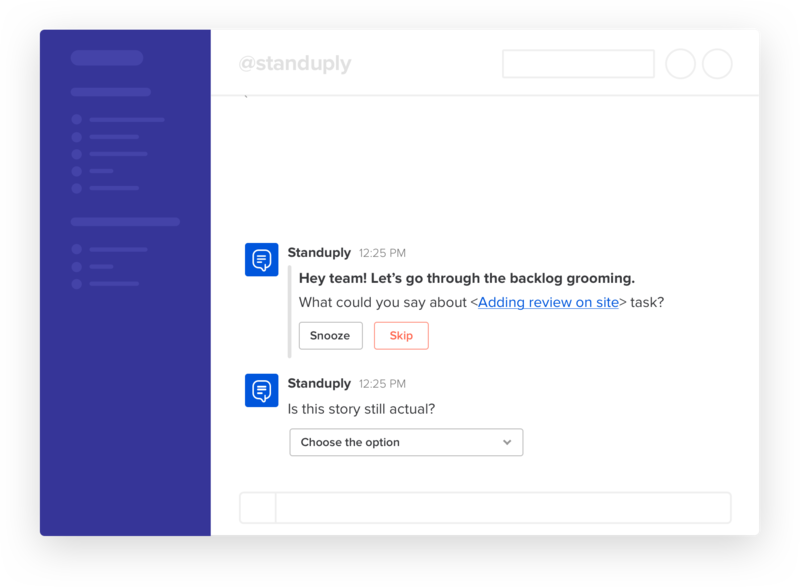 Standuply is a digital Scrum Master that automates your Scrum routines: standup and retrospective meetings via text, or video/voice, backlog grooming, planning poker.